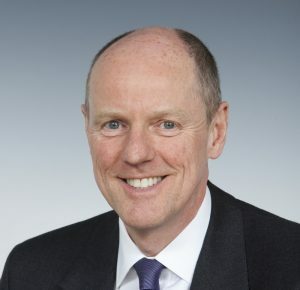 Government Minister Nick Gibb has praised Queen Elizabeth’s School in a special letter following last summer’s record-breaking GCSE results. The Minister of State for School Standards highlighted the fact that QE was in the top 1 per cent of all state-funded mainstream schools for its performance in two separate areas. 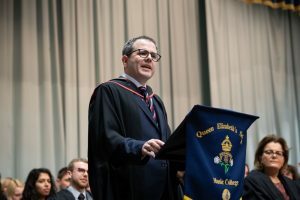 One was the School’s score in the Government’s Progress 8 measure, while the other was for the proportion of QE pupils – in fact, 100 per cent – entering the English Baccalaureate. Progress 8 shows the improvement made by children across eight key subjects between the end of primary school and GCSE. 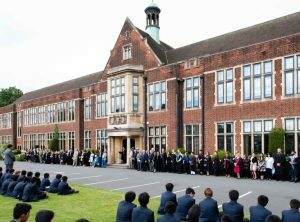 QE’s score of 1.22 puts it above every other selective school in the country and in the top 15 of schools of any type nationwide. In 2018, 78% of all GCSEs sat at the School received the top grade (A* or 8-9, its numerical equivalent), which was a new QE record. The EBacc is not a qualification but a combination of core GCSE subjects recommended by the Department for Education, including English, Mathematics, Science, History or Geography, and a foreign language. “We want to ensure that every child, regardless of their background, has the chance to study the EBacc at GCSE, which is why I was delighted to see your results,” Mr Gibb wrote. In response, Mr Enright said: “I am grateful to the Minister for recognising the achievements of the boys here and of my colleagues. We are committed to providing a rounded education and to stretching all our boys to ensure they reach their full potential.